The flood gates have broken and technology has infiltrated schools all over the United States taking learning to a whole new level. 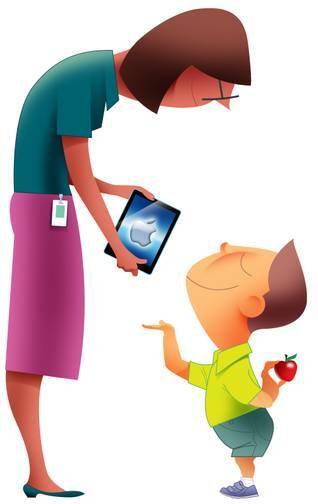 BYOD and 1:1 implementations have opened new doors in the world of education. Students have additional opportunities for more collaboration and personalized learning than ever before. The possibilities and benefits of using technology in the classroom as learning tools are endless. There is so much to consider when implementing new classroom technology on the schools wireless network. One question that every school must address is what their plan for these devices is and how to correctly use them in the classroom setting. I’ve seen much debate over this critical question. Some schools just let the teacher do whatever they feel is best for them and their students and others set stricter guidelines for use and actually require teacher to use them for certain lessons. Today I would like to cover what I think the best way to use this technology in the classroom is. Let’s start off with what I’m going to call the wrong way to use classroom technology. Just because teachers are given these really cool, new, shiny gadgets in the classroom doesn’t mean they have to use them all the time. Some schools even require the teachers to use the devices for a certain amount of time in class. What’s wrong with this method is that, yes technology is awesome I’m sure we can all agree, but teaching should not be completely altered and catered to technology. Some teachers that are feeling the pressure to use the devices end up incorporating them in ways that may even negatively affect students instead of enhancing learning. These devices should be used to enhance teaching, not take over. Technology is a tool and just like any tool, some tools don’t work for some lessons. This needs to be understood by administrator and teachers alike from the beginning of implementation. Technology is a wonderful tool that can have a tremendous beneficial impact on education if utilized properly. Now for what I think is the correct way to use technology in the classroom. Administrators, IT staff, and educators should work collaboratively to figure out what methods, apps, etc. work the best. Hold training session and meeting throughout the year for educators to discuss different ways they have benefited from using them and what method and apps seem to be working best. A teacher’s main concern should be to plan an engaging and effective lesson, then see which tools they can use to enhance that. That means many times technology is incorporated, but sometimes it’s not. Too often, teachers are overwhelmed because they are given a device and think that everything they do must now revolve around this device. That should not be the case. I do firmly believe having technology in the classrooms is the present and future of education, but it should be used appropriately not take over. 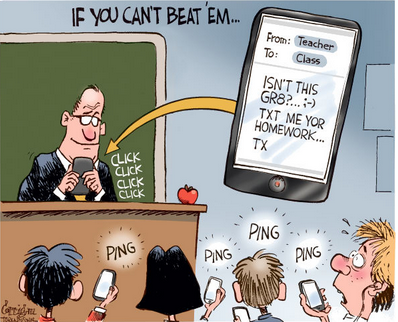 Having technology in the classroom can really increase engagement and enhance teaching and learning. It can be used to breathe new life into old lessons. It just needs to be used appropriately. I would like to hear your opinion on this matter, so please feel free to leave any comments below. If your school is thinking about implementing technology in the classroom though BYOD, 1:1, or some other method feel free to contact us here with any questions. We have helped hundreds of schools all over the country successfully implement these valuable learning tools. We are the experts and we are always happy to help. Good luck!